Earlier 19th century. 3-level garden terrace on steeply sloping site. Red brick faced; predominantly random stone rubble to side elevations. Predominantly flat or slightly bowed stone coping (several sections missing). Some stone flag paving to area in front of lowest level. Out of character modern metal railings to front and sides of all 3 levels. LOWEST LEVEL: to centre, large segmentally-arched niche. To right, round-arched opening with modern gate leading to stone steps giving access to grassed platform above. MIDDLE LEVEL: to left, stone steps leading to grassed platform above. UPPER LEVEL: to right, stone steps leading to concrete paved platform above. B-group with 1-19 (inclusive numbers) Bon Accord Crescent. Listed as a good and relatively unusual extant example of earlier 19th century garden architecture. The gardens were formed on the south-west facing bank of the vale of the Howe Burn and were a major selling point of the Crescent (then known as Bon Accord Terrace). When they advertised feus in 1823, the Tailors stressed that 'the Terrace in particular commands an uninterrupted prospect of the south-west of the environs of the city and of the country to a great distance and overlooks the ground in the adjacent valley'. It is not clear precisely when the gardens were laid out but they were well established by the mid 1800s. The gardens were long strips, of varying widths running down the hill, divided by walls. Several of them had terraces similar to this example, which were popular features in urban gardens of the early 19th century. During the 20th century, Bon Accord gardens were in use as a market garden, with the upper sections used as allotments. 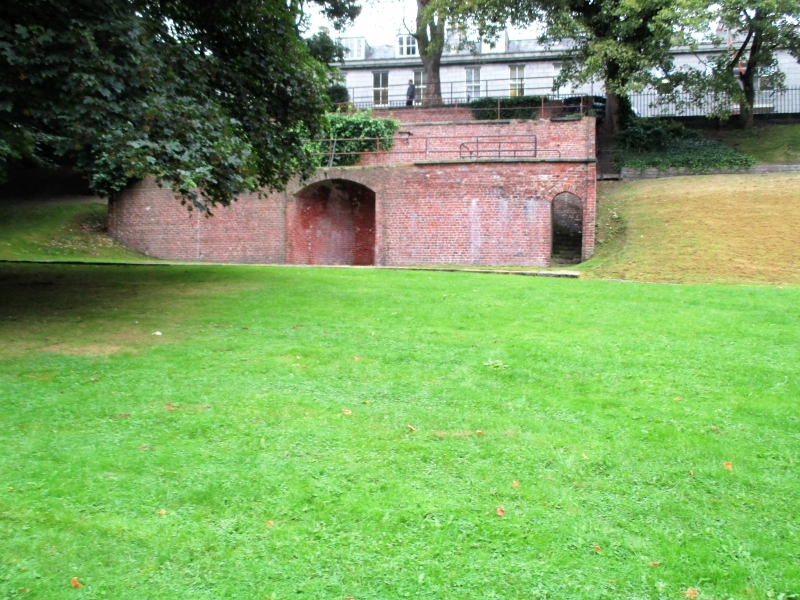 In the 1970s, the market garden closed and the Gardens were landscaped to form an open area of public park. The remaining evidence of the original form of the gardens as private gardens was removed and only this single terrace survived these changes.